the Red Panda. same name , different family ! hundred of pupils here . but much more disciplined than in Germany . We flew from Bishkek to Kashgar. back in China !!! As you know in November I had a very bad food poisining and now we are here for the second time . Our friends from the Pamir Youth Hostel cared for our bikes and luggage so great ! Now we had time to meet our friends, especially Ibrahim , our friendly truckdriver. In November he took us from the first checkpoint to the real border, which is 140 km far away. He is Uygur and invited us to his house with his family. we had delicious food and he told us about the problems of the Uygurs, their customs and traditions. Especially his gift to us was a riddle :-) . We send our bikes by train to Chengdu, so we were able to do sight-sightseeing. Distances in China are so big !! 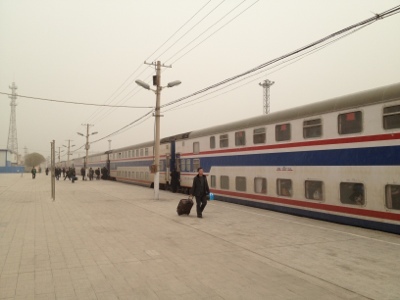 We travelled by train 40h to Dunhuang, which is in the East. We had a sleeper, and it was quite comfortable. After the train arrived, we had to take a taxi for two hours. The driver opened the window while smoking and this was a desaster for Astrid. The next day she had a bad cold, high temperature and pain in her throat. The following three days she had to go to the local hospital to get infusions with antibiotics. Well, here in Dunhuang is the desert with big sanddunes and the Lake Sickle Moon. It it a natural spring and there is a monastery. 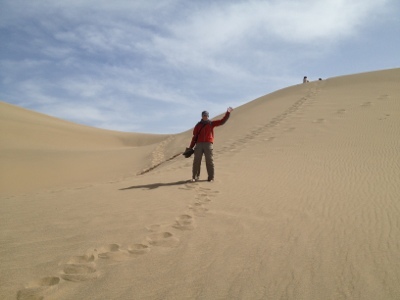 We were able to visit it and we climbed up to the summit of a dune. What a great view ! A day later, we again went by train to the next destination. Jiayuguan, a bigger city with the westend of the Chinese Wall. 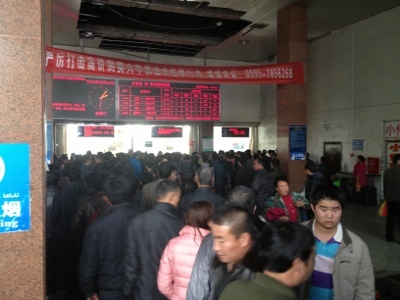 We only had 7 hours there, because our train to Lanzhou departet in the evening. The stuff of the counter was very friendly, they let us store our luggage in a locker, so it was much easier to walk to the fort. the Great Wall was build in this part of China to have a protection against the troops of Amir Timur (ca. 1400 a.C.), the national hero of Uzbekistan. In Lanzhou we took a coach bus to Xiahe. 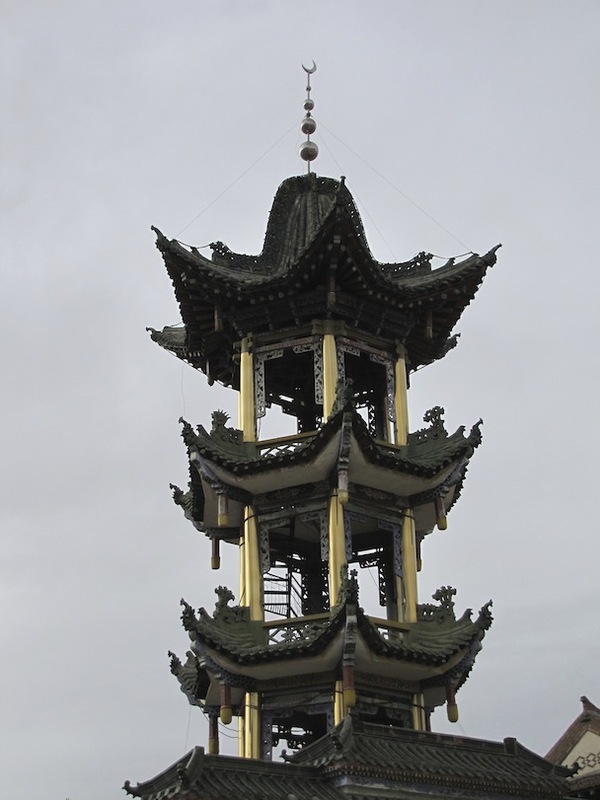 It is a Tibetian city in the Chinese province of Gansu. Altitude 3500 m ! The Monastery of Labrang is one of the biggest outside of Tibet. Many of the 1000 monks lived in Tibet. Unfortunetly it is not possible for foreigners to visit Tibet, but we had a very good summary about the culture of the Tibetian monks. The next day we had time to climb up to a small pavilion and had a great view around the city. We collected our bikes from the train-station and we our now really happy that continueing our trip will starts soon ! The coming days we will stay here to visit the Panda breeding station and to extend our visa. strange food, or medecine ? It was our long-lasting wish to visit it, but the last months weather was too cold. it makes no fun to do sight-seeing at a temperature by - 20 degrees Ceslius. This weekend was our last chance to travel there. We took a "marschrutka" from the busstation and drove within 4 hours to Tamga in the south of the lake. I call them "my-schrott-car", what means "my-junk-car"; in German language it sounds very similar to the Russian word ;-). For myself it is always a torture to travel with them, because I am too tall at all for this vehicle. In the early evening we arrived in Tamga, a small village where many pottholes are on the streets. People live there a very simple life. There is a sanatorium, where Juri Gagarin, the Russian cosmonaut, recovered after his trip to the space. But most of the building from the former Soviet era are in a bad condition. Tamara and Askar have a quite big guesthouse, very new, and a small magazin. They offered us a delicious dinner and they are extremly hospitable ! She speaks English very well and communication was very easy. One of our big wishes was to go horse-riding. For the next day Tamara organized a horse-trip to the mountains. Well, Astrid and I, we never had any experience with horses, never mind sitting on one. But Astrid as a climber and me as a mountainbiker, we have a good physical feeling and body control to keep the balance. We had no problem at all to ride the horses :-). Mohammed, our guide, lead us uphill through small creeks to Tamga-Tasch, a big Tibetan stone from the 2.-8.century before Christ. It was really amazing: whole Central Asia is Islamic and now a Tibetan stone ? yes it is true. no fake. The stone is divided into two pieces and on one side there are the letters: “Om mani padme hum”. The two pieces are caused by a flash, but in the Kyrgyz myth the national hero Manas divided this stone by his sword. The next day Askar was our guide to another amazing landscape. It is named "CKACKA" and means fairy-tale. We took many pictures and it sometimes looked the same as the Olgas in Australia, only much smaller. Wind and tough weather conditions formed sculptures in some parts. For more than two hours we were hiking and it was gorgeous. With a big hunger we went back to Tamga, where our friend Giom from France and Felix from Spain arrived. They are travelling by recumbent bicycles and are on their way around the lake. We had again a delicious dinner and after a funny evening we went to bed. The next day we were horse-riding again. Our new guide came with new horses to our guesthouse. The name of mine was Baron, and Astrids one was named Armen, both stallions. Well, after half an hour Armen decided to run home, with Astrid on his back. He was really fast and Astrid had no chance to stop this crazy horse. but she was so brave and let him run. Irken tried to stop Armen, but when he tried to take the rope from him, he felt down. Only a dirty jacket, nothing else. No injuries but quite a lot of adrenalin in our bodies :-). We continued our trip through the landscape and Armen was much more relaxed. On Tuesday we rode to the jailos, which are seasonal alpine pastures. Baron my horse, was very slow. I estimate that he secretly took some Valium tablets. Many times, Irken had to enforce him to walk faster. We arrived at ca. 1900m altitude (Tamga is on 1600m) and Irken made a camp fire. We had some tea and snickers and it was very beautiful. After four hours of riding our knees, backs and shoulders were aching. We arrived at the guesthouse at 5pm and we were very groggy. A hot shower, a delicious dinner and we slepted very well. On Wednesday we had to leave Tamga. We had such a great time there and we will miss Tamara and Askar very much. On Sunday we will meet again their daughter Aliya in Bishkek. She speaks German fluently and works at the GIZ (Gesellschaft für internationale Zusammenarbeit). After 5 hours of a terrible trip by bus we arrived in Bishkek at 3pm. Visiting Issk Kul was the final trip in Kyrgyzstan. 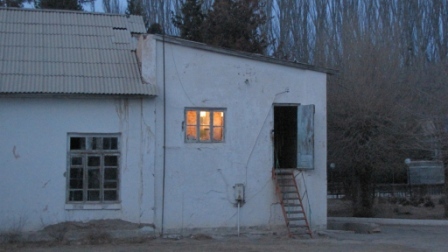 For more than three months we lived in Bishkek and we had a good time here. Now it is time to say Goodbye and we will continue our big trip. 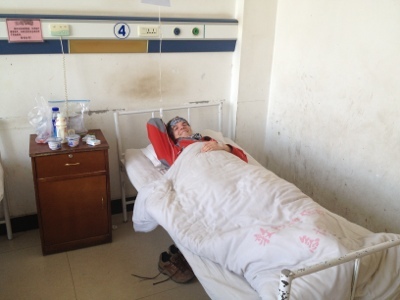 On March 6th we will fly back to Kashgar in China and there are still many things to organize.